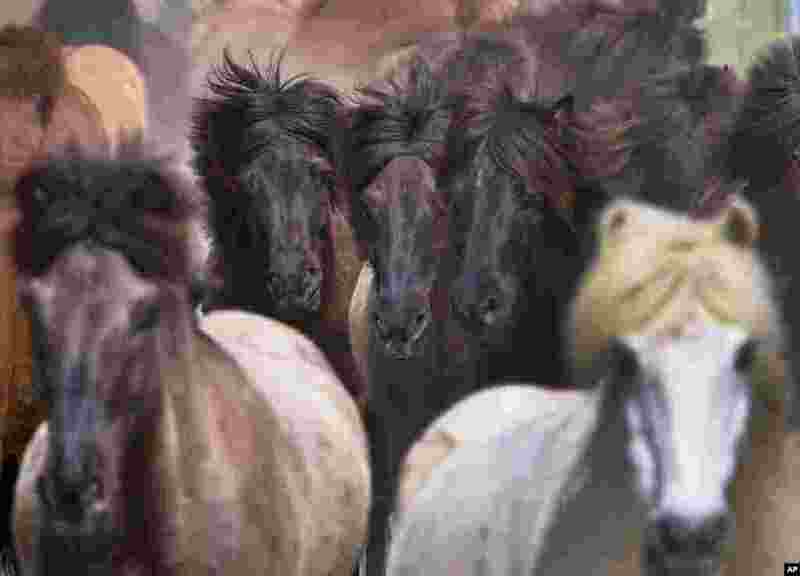 1 Icelandic horses are driven back from their willow to the stables on a stud in Wehrheim near Frankfurt, Germany. 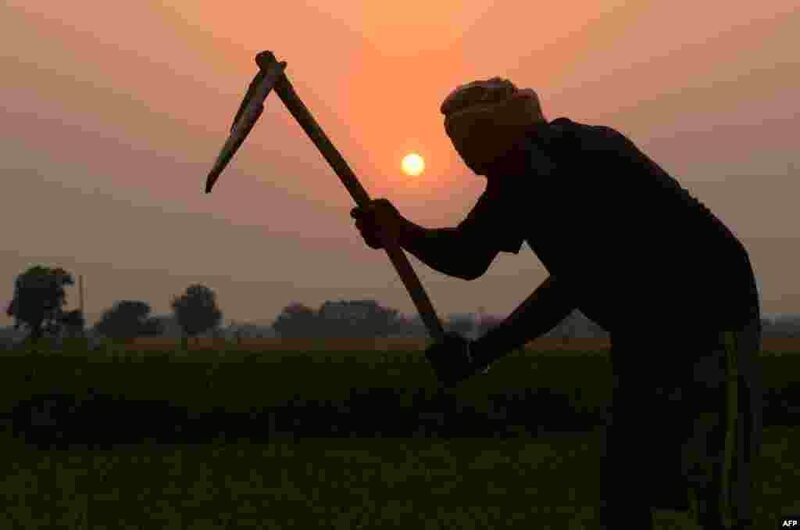 2 An Indian farmer works in a field on the outskirts of Amritsar. 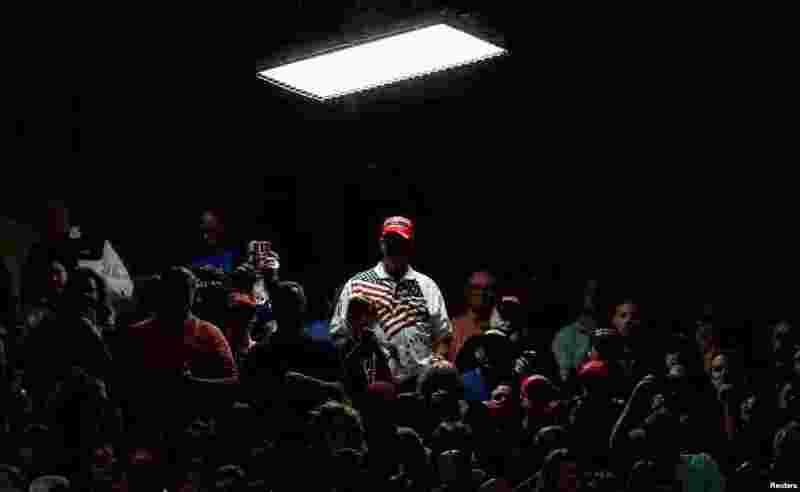 3 Supporters of U.S. President Donald Trump wait for him to appear for a rally at North Side middle school in Elkhart, Indiana. 4 Lea Sirk from Slovenia performs the song 'Hvala, ne!' in Lisbon, Portugal, during a dress rehearsal for the Eurovision Song Contest.